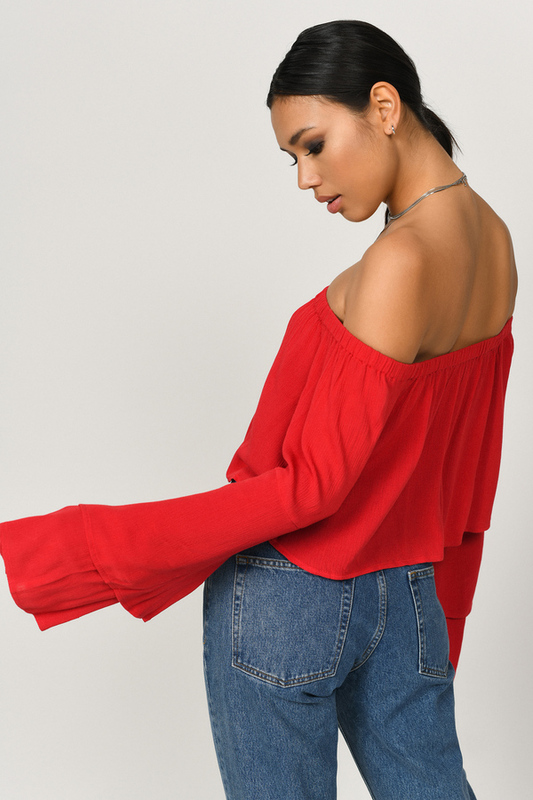 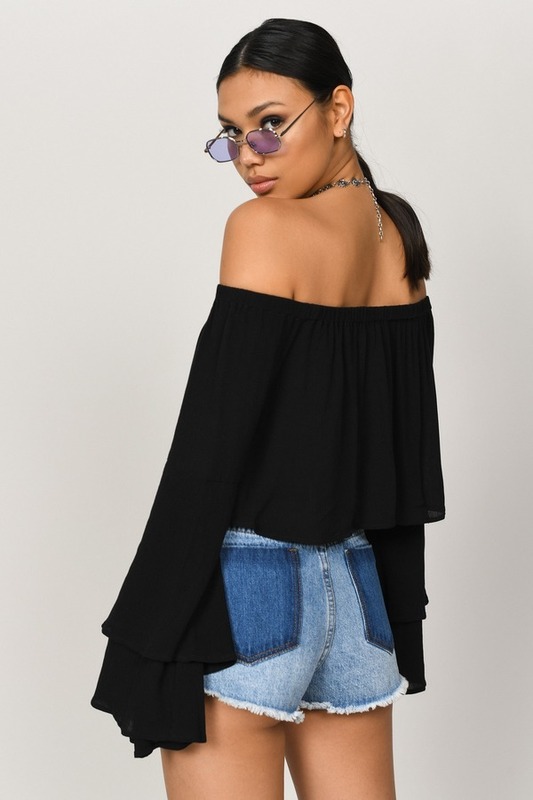 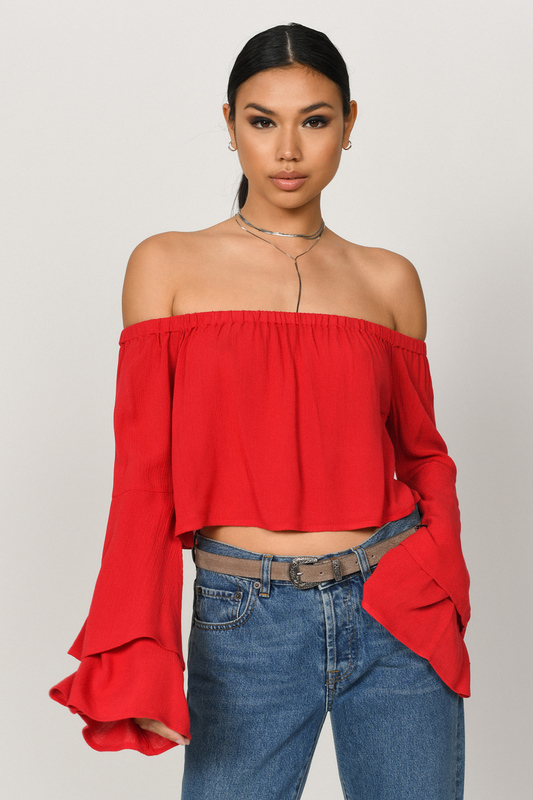 Check out Tobi's Ami Off Shoulder Crop Top Grab cocktails with the girls and look extra special in the Ami Off Shoulder Crop Top! 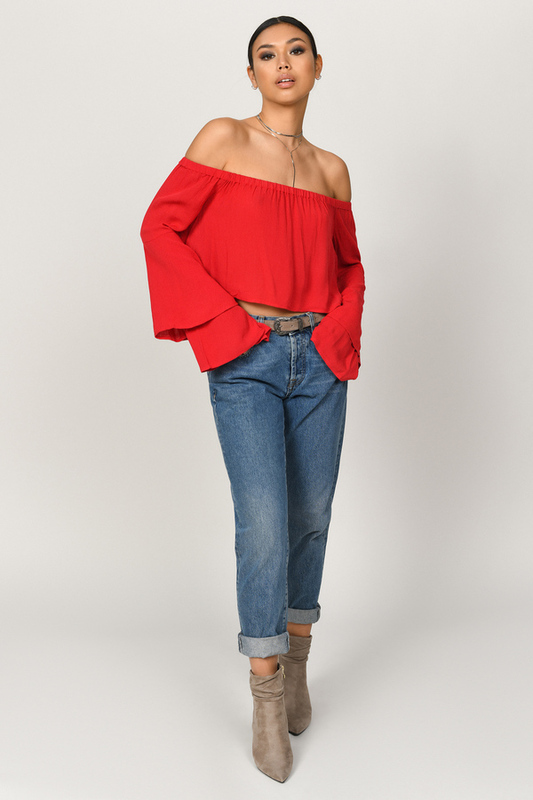 Featuring a gauze fabric with tiered bell sleeves. 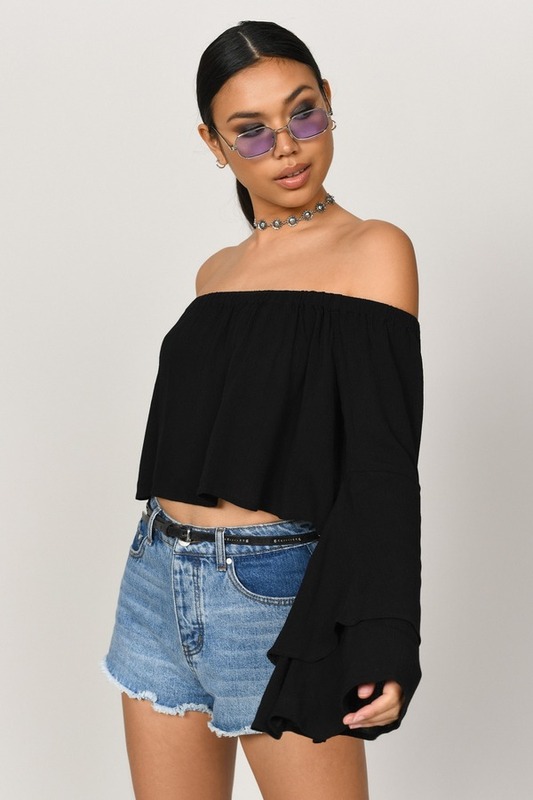 Grab cocktails with the girls and look extra special in the Ami Off Shoulder Crop Top! 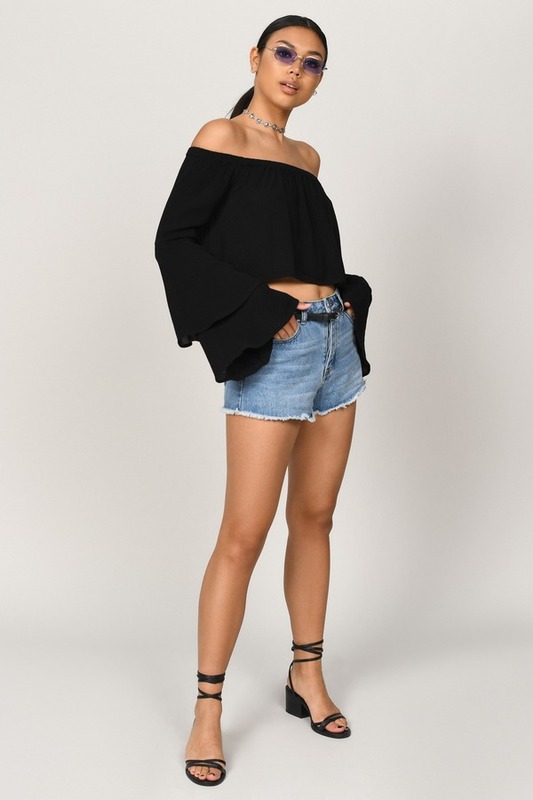 Featuring a gauze fabric with tiered bell sleeves.